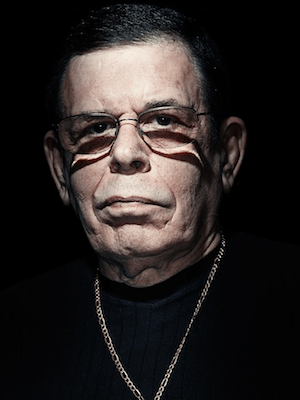 Four and half months into his run with the self-syndicated “Midnight In The Desert“, Art Bell claims he is retiring from radio for good. In a post on ArtBell.com yesterday, Bell stated that he is walking away due to threats against him that are affecting his family. Over the past several weeks there have apparently been multiple gun shot incidents in and around Bell’s studios in Pahrump, NV. Midnight In The Desert was intended to only be available as a webcast when announced. The show launched with sixteen terrestrial affiliates and was up to 54 ranging from Cumulus’ 790 KABC Los Angeles to and LPFM in Chattaroy WA. The show will continue to be offered with producer Heather Wade taking over as host. Why would their be threats against his life, what did he do or say that was worst then what is on the airwaves today. I have not heard his new show so I really don’t know what subject matter made people so against him, anyone know what he did or say to ruffle some feathers…. Hasn’t this tired act of “retiring” from radio finally run its course? He must be getting career advice from furniture store operators.